Missions at First Baptist Church of Ocala is designed to be a springboard that propels each of our members into a realization that we are each missionaries here to engage our culture with God’s love. Every believer has the privilege of being on mission through prayer, giving, and going. Our desire is to enable many different types of mission projects with the hope that you will find an area where you see God at work and answer the invitation to join Him. Join us here at 5:00 PM on August 5th as we beautify and bless the campuses of Ward Highlands and Maplewood Elementary School. We will gather in the fellowship hall, break up into two teams and travel to the different schools. Bring your work gloves and be prepared to work and pray. We will be providing a light supper. Let us know if you have a wheelbarrow we can use. If you are willing to help us out respond to Beverly@fbcocala.org or contact the church office, extension 145. The evening will include live entertainment, crafts, food, children’s activities, a parade and a visit by Santa on Saturday, Nov. 17 from 4-9 p.m. in downtown Ocala. Friday, March 1st, 9am to noon, join us as we clean, slice and soak the strawberries for the entire festival. It’s a big job! Saturday, March 2nd, 9am-5pm, join us at the McPherson Complex to make and serve strawberry sundaes and share information about our church family. We will also be sharing the gospel through henna tatoos and storying. First Baptist Ocala has several different units to dispatch depending on the relief effort needed: Clean Up & Recovery, Feeding Unit, Shower Unit. FBC Ocala is part of Region 3 for DR Deployment but you are welcome to attending any of the trainings. 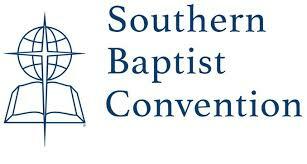 The Florida Baptist Convention offers training each spring for Disaster Relief. This training is required if you want to assist the Disaster Relief teams when severe weather or disasters strike. Price includes: background check fees, lunch, training materials, ID badge, t-shirt, hat and pin. During the morning, they may choose to get additional training in their primary ministry area in a specialized class or they may participate in our Spiritual Care class. Volunteers that are interested in being trained for water purification will attend an all day class that is only open to returning volunteers. Price includes: background check fees, lunch, training materials and t-shirt. Why do I have to be trained to be a volunteer? Emergency Management Officials now require all volunteers to be credentialed by an organization like ours before they are allowed to work in a disaster response area. Our training is designed to meet these requirements and prepare volunteers to do effective ministry when called upon. There is no pre-registration. Register at the event site between 8:30 AM & 9:00 AM the day of the event. The cost of training a new volunteer is more than $40. The fee is to help us offset some of the costs. Participants will receive DR shirt & hat, ID badge, training material, instruction and lunch for attending. The training season can only be done between March and June because we have to be ready to respond to our most likely disaster, hurricanes, between July –October. With a limited number of weekends available, we have to do regional events. Our goal is to have at least 1 event within a 2 1/2 hour drive for volunteers to attend. We move the sites to different associations from year to year within specific regions. 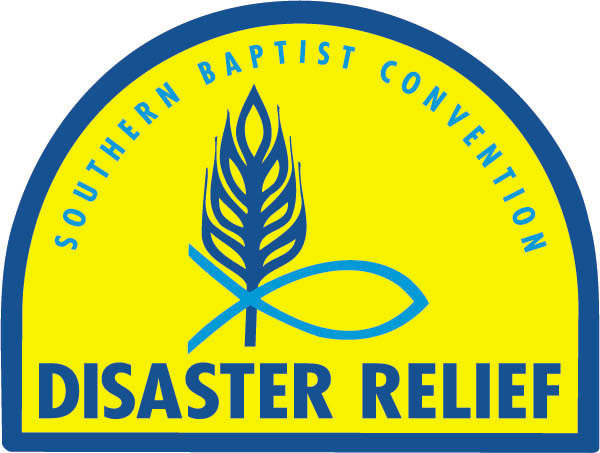 If you would like more information on Disaster Relief Ministry with the Florida Baptist Convention, please click here. Individuals and small groups throughout the church are engaging the community through volunteer activities with a number of agencies and projects. Check out our local mission opportunities below and also through Our Partners. Handyman TeamThe Handyman team meets every Monday morning starting around 8:00 am at the Annex (by the softball field). This team of folks engage our Ocala and Marion County neighbors who need basic handyman repairs, wheelchair ramps, and other small jobs. If you would like to become a member of the Henna Team, email Amie Bricker at ambricker@hotmail.com. Save the date – Saturday – March 2, 2019 – We will be serving strawberry sundies and spreading the gospel through Henna tatooing and storying. Food collection for Interfaith Services. In 2019, we will continue to visit and support a number of continued partnerships as well as add a few new opportunities. Nicaragua – Trip Dates: February 16 – 23 | Estimated Cost $1900 | Serving with Baptist Medical & Dental Mission International. Central Asia – Trip Dates: April 18 – 26 | Estimated Cost $1,800 | Sharing the gospel with women through henna storying. For more information click here. If God has placed a “place” on your heart and we are not headed there this year, let’s chat. You can get additional ideas for travel at namb.net and imb.org. If you have never been on a short-term mission trip before, read this article. If you still feel that God is leading you to go, let’s chat. Repeat Traveler – Use the FBC Mission Form above and only complete the first two pages. Trip Costs include transportation, in-county costs, insurance and airfare estimates. Final trip price is dependent on airfare price at the time of booking and can add or subtract from the cost of the trip. You must have a passport for all of the trips outlined above. If you have issues in getting a passport, please contact the Missions Office. To apply for a passport, go to travel.state.gov/passport and follow the instructions for new applicants or to renew your passport. Please make sure to read the Trip Information Sheet specific to the trip you are interested in. A non-refundable deposit per person is due at the first team meeting. This deposit will enable us to make a commitment to the airlines and secure the best possible fares. Do you need to raise funds? Make sure to look through the Raising Funds packet. You can also pick up preprinted sheets from the Church Office. To live out this faith we hold dear, each one of us has the opportunity to give generously of our time, talents and resources. One way we can do so is to volunteer with an organization seeking to share the truth of Jesus Christ with others in specialized ways. Below are ways to engage locally in Ocala, nationally and globally through partners we value very much. FBCOcala has adopted several local elementary schools in order to staff and support the Good News Club from CEF (Child Evangelism Fellowship). If you are interested in teaching, supporting or volunteering with one of our clubs, please contact our Childrens’ Ministry. Helping Hands is a nonprofit charity, serving the people of Ocala/Marion County in a variety of ways. They seek to provide shelter and related assistance for the homeless, and others who are in difficult situations. Additionally, they assist with jobs, food, clothes, medical, dental, transportation, counseling, Bible study and fellowship, and other needed services. Interfaith Emergency Services provides a full range of services and assistance for residents of Marion County. They serve individuals and families in need, providing the basic needs such as food, clothing, shelter, and much more to enhance the quality of life for families and individuals.fellowship, and other needed services. Women’s Pregnancy Center is a Christ-centered ministry designed to engage and inform women in unplanned pregnancies, empowering them to make life-affirming decisions. They need a variety of volunteers, including client advocates, administrative help, nurses and more.